Inspiring Ideas with artist Jeanne Winters: Happy Birthday, Jesus!! My kids LOVE Christmas! But even now, at ages 4 and 5, they'll give the kind clerk at the store a blank stare when asked the ubiquitous "What is Santa bringing you this year?" Our Christmas does not revolve around Santa. We're not fanatics about it –we don't banish all things red, fat and jolly from our holiday– we simply focus on Jesus' birthday. 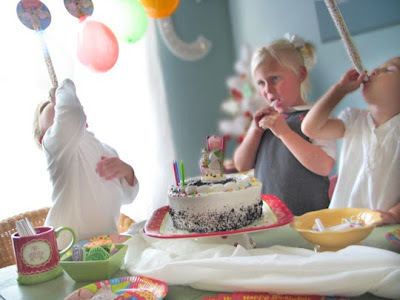 What little child doesn't understand and get excited about a birthday party? We read stacks of Christmas story books that all tell about Jesus' extraordinary birth in wonderfully unique ways. They get it and they love it! A highlight of our family traditions in making our holiday all about Jesus is to make a Happy Birthday Jesus cake. It's our main Christmas dinner dessert ... because everybody gets a cake on their birthday, right?! We let the kids decide what kind of cake each year and they join in the party planning ... just as if Jesus were a part of our family. It's so precious to see my kids growing up grasping basic Biblical truths! When DaySpring created this sweet Happy Birthday Jesus celebration kit – well, it just makes it so easy to carry out the "party" theme and add to the festivities for the kids! They have the honor of blowing out the candles, since "Jesus can't do it, he's just in our heart." Warm fuzzies! 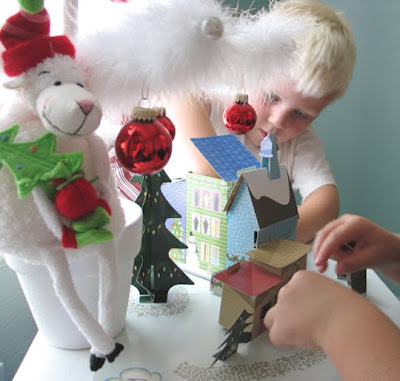 We have several nativity sets that give the kids a 3D picture of what Jesus' birth was like. We talk about His lowly birth and why He came and how the kings brought Him gifts. Naturally, presents are a big deal to kids, big and little, and that fits right in with our birthday theme. In our house it goes like this: Jesus was SO special that even KINGS brought Him gifts! Now, because His is the MOST important birthday of anyone ever, EVERYONE shares presents with EVERYONE all over the WHOLE world! That's how special His birthday is!! And that's a lot to look forward to! 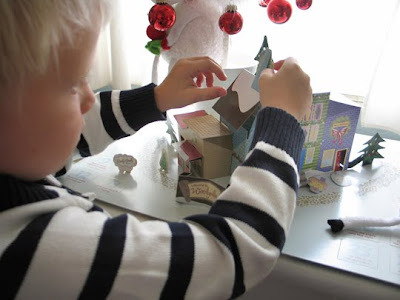 An advent calendar is such a neat way for little ones to understand "when is it going to be Christmas?" Especially since we start decorating right after Thanksgiving! Taking part in the countdown brings it right to their level. Christmas activity books, puzzles, that ever growing collection of Christmas story books that gets read over and over and over and over ... they all point to the REAL reason to celebrate. They keep my kids focused on celebrating Jesus! And don't forget to look in the back for shopping discounts and coupons! We always have a birthday party for Jesus with all the children at church. We go all out too, and there's always a cake and decorations, and even goodies to take home to help the kiddos remember why we celebrate Christmas. This party pack is a great idea. How fun! Every Christmas I post our family's Happy Birthday Jesus cake, but until this year we just did it with our own family ON Christmas. I think doing it at church is a great idea!! You're doing so well teaching your children the true meaning of the season. Isn't it amazing how much they soak in? We've always had a birthday party for Jesus, too. I love the cake kit! I got my party packett in the mail yesterday from dayspring ( I am going to use it with my toddler Sunday school class). 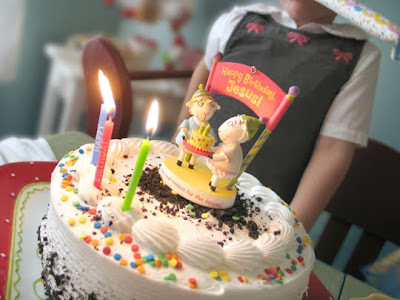 We have birthday parties for Jesus every year in our Preschool and Children's classes. I also got a copy of the magazine which was so neat because it had articles from bloggers that I follow. May you and your family have a blessed Christmas.